Conventionally, 2019 being an election year in India, the Modi government was expected to present an interim budget, which, essentially is a vote on account, whereby the parliament sanctions funds for the government to function in an uninterrupted manner till the new government is voted in and takes charge. The new government then, based on its stated election manifesto and the availability of resources, tables a full-fledged budget in the parliament. However, flouting this convention, the government has doled out massive fiscal concessions and benefits to the farm sector as well as the poor and small businesses, whose disappointment with the central government’s previous policies is said to have cost the ruling part dearly in the state elections last year. A minimum basic income scheme for farmers wherein the government will transfer Rs 6,000 per annum to farmers holding land up to 2.5 hectares. The scheme will cost the exchequer Rs 75,000 crores (US$10.5 billion) in FY 2019-20 and Rs 20,000 crores (US$2.8 billion) in FY 2018-19n and will be implemented with retrospective effect from December 2018, which is a first in the history of Union Budgets. Farmers, interviewed by the media across the country, are unimpressed by the quantum of Rs 6,000 (US$84) per annum. According to them, the annual relief is not enough to cover the costs of sowing and harvesting, loan and interest burden, a yawning gap between the retail price paid by the consumers and the minimum support price received by them for their produce; these key issues remain unaddressed. A report by the National Sample Survey Organization (NSSO) explains why the farmers are dissatisfied by this move. According to this report, the annual income support of Rs 6,000 (US$84) is a mere six percent of the annual income of the targeted farmers. This is a lose-lose situation, the exchequer is burdened with a liability of Rs 75,000 crore (US$10.5 billion) and the recipients of this largesse are unhappy with the inadequacy of the dole. 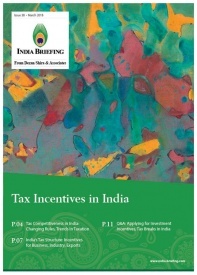 Increase in rebate for taxpayers with a taxable income of up to Rs 5 lakh (US$6,990), from Rs 2.5 lakh (US$3,489). Since the tax rates and taxable income slabs remain the same, this provision will only benefit assessees who have income up to Rs 5 lakh (US$6,990). Increase in standard deduction from Rs 40,000 (US$558) per annum to Rs 50,000 (US$698) per annum. Increase in TDS threshold from Rs 10,000 (US$140) to Rs 40,000 (US$558) on interest earned on the bank, post office deposits. Exemption on levy of income tax on notional rent of second self-occupied house. These direct tax measures will cost the exchequer Rs 18,500 crores (US$2.6 billion). The government announced a slew of other measures like pension scheme for workers in the unorganized sector, and an increase in gratuity limit among others. Inspite of the massive increase in expenditure of Rs 1 lakh crore (US$14 billion), the government is confident of containing the fiscal deficit at 3.4 percent. The government forecasts strong goods and services tax (GST) revenue growth owing to a potential increase in consumer spending as the government puts Rs 1 lakh crores (US$14 billion) in the pockets of the consumers. The shortfall in GST collections in the current financial year belies this expectation. The government also expects the taxpayer base to widen and is confident that tax compliance will be better. Whichever government takes the reins in May 2019 will inherit these expenditures and will have to factor them into the union budget presented by them in June 2019. Being populist measures, it is unlikely the newly elected government will reverse these expenditure schemes and tax benefits. The apprehension is that the government is going to dig deeper into the pockets of the already suffering middle class to fund these schemes. The 2019 interim budget speech was more like a pre-poll speech aimed at garnering votes. The finance minister held forth on the achievements of his government compared to the failures of the previous regime. Besides, the government announced a grandiose vision 2030, which seems long on vision but short on how it would be achieved. 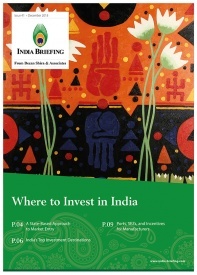 « What’s in India’s 2019 Interim Budget?